City of Sydney Council - TRANPLAN town planning specialist prepared the town planning (Statement of Environmental Effects) report and Heritage Impact Statement (HIS) to support a development application (DA) for the demolition to an existing 1-storey cottage (contributory building in a Conservation Area and adjoins a Heritage Item) in Pembroke Street, Surry Hills (City of Sydney Council) and construction of a 3 storey studio and 3-bed dwelling with rooftop terrace. Challenges include reviewing the City of Sydney Council's Sydney Local Environment Plan 2012 & Sydney Development Control Plan 2012, and working with the project architect to address design / heritage / planning issues. Liverpool City Council - Our town planning consultant prepared the planning feasibility report for site in Adams Road, Luddenham near the future Badgerys’s Creek Airport site (Liverpool City Council). Challenges for our town planner was reviewing the Liverpool City Council's Local Environmental Plan (LEP) 2008 and Development Control Plan 2008 and providing expert advice regarding the planning constraints & opportunities for the site. Ku-ring-gai Council - Our town planner prepared a development objection for a development application (DA) for a residential apartment development in McIntyre Street, Gordon (Ku-ring-gai Council). Challenges include reviewing Ku-ring-gai Council's Ku-ring-gai Local Environment Plan 2015 & Ku-ring-gai Development Control Plan and object to the significant amenity issues because of the bulk, height, setbacks, overshadowing, loss of visual & acoustic privacy etc. The most severe impacts would have been overshadowing, and loss of visual & acoustic privacy due to non-compliance with setback and the maximum height control. City of Sydney Council – Our Town Planner prepared the town planning package to support a footway (outdoor dining) application (FA) for the use of the Council’s footpath for outdoor seating (5 tables and 20 chairs) with the existing Cafe in George St, Sydney (City of Sydney Council). Challenges include reviewing the City of Sydney Council's Sydney Local Environment Plan 2012, Sydney Development Control Plan 2012, and the new Outdoor Dining Policy & Outdoor Dining Guidelines. Parramatta City Council - TRANPLAN Heritage Consultant prepared the Heritage Impact Statement (HIS) to support a development application (DA) for the addition of new brick pillars & timber pickets to an existing front brick wall at Chelmsford Avenue, Epping (Parramatta City Council). Challenges include reviewing Parramatta Council's Parramatta Local Environment Plan 2011 & Parramatta Development Control Plan 2011. The property is a contributory building in the Epping/Eastwood Heritage Conservation Area. City of Sydney Council – TRANPLAN’s Town Planner prepared the town planning (Statement of Environmental Effects) report to support a development application (DA) for the fitout and change of use to a late-night trading Kebab Shop in George Street, Sydney (City of Sydney Council). Challenges include reviewing the City of Sydney Council's Sydney Local Environment Plan 2012 & Sydney Development Control Plan 2012 and liaising with the client in preparing a Plan of Management to address impacts of late night trading, security / safety, and amenity. The property was also part of a Heritage Item and required a Heritage Impact Statement (HIS). Bankstown City Council - Our town planner prepared the town planning (Statement of Environmental Effects) report to support a development application (DA) for the use of an existing industrial property in Biloela Street, Villawood (Bankstown City Council) as a Indoor Recreation Facility (Martial Arts Centre). Challenges include reviewing the Bankstown Council's Bankstown Local Environment Plan 2015 & Bankstown Development Control Plan 2015 and liaising with the client in preparing a Plan of Management and addressing acoustic and traffic / parking impacts. City of Sydney Council - TRANPLAN town planning consultant prepared the Heritage Impact Statement (HIS) to support a development application (DA) for the alterations & additions (renovation / fitout) to an existing 12-storey heritage building in King Street, Sydney (City of Sydney Council). Challenges include reviewing the City of Sydney Council's Sydney Local Environment Plan 2012 & Sydney Development Control Plan 2012, and working with the project architect to resolve issues so that the works qualify for exemption under the Heritage Act 1977. The property is a Heritage Item of State significance (State Heritage Register No. 00676) known as "Trust building". Our heritage consultant also sought exemption from Section 60 with the Heritage Council for the development under S57(2) of the Heritage Act 1977. Woollahra Council – TRANPLAN’s Town Planner prepared the town planning (Statement of Environmental Effects) report to support a Section 96 development application (DA) for the use of an external courtyard for late-night trading for a wine bar & restaurant in Oxford Street, Woollahra (Woollahra Council). Challenges include reviewing the Woollahra Council's Woollahra Local Environment Plan 2014 & Woollahra Development Control Plan 2015 and liaising with the client in preparing a Plan of Management to address impacts of late night trading, responsible service of alcohol (RSA), security / safety, and amenity. City of Sydney Council – TRANPLAN planning consultant prepared the town planning package to support a footway (outdoor dining) application (FA) for the use of the Council’s footpath for outdoor seating (5 tables and 10 chairs) with the existing Cafe in Wentworth Avenue, Surry Hills (City of Sydney Council). Challenges include reviewing the City of Sydney Council's Sydney Local Environment Plan 2012, Sydney Development Control Plan 2012, Sydney Outdoor Dining Policy and liaising with the client in preparing a Plan of Management to address impacts of trading on public footpath, service of alcohol, and amenity. City of Sydney Council – TRANPLAN town planner prepared the town planning (Statement of Environmental Effects) report to support a Section 96 modification development application (DA) for the extension of trading hours and extension of outdoor seating (2 tables and 4 chairs) for an existing Cafe in Harris Street, Pyrmont (City of Sydney Council). Challenges include reviewing the City of Sydney Council's Sydney Local Environment Plan 2012 & Sydney Development Control Plan 2012 and liaising with the client in preparing a Plan of Management to address impacts of service of alcohol, late night trading, security / safety, and amenity. Burwood Council - Our town planner prepared the town planning (Statement of Environmental Effects) report to support a development application (DA) for the new use of a tenancy as a Chinese hotpot restaurant in Deanne Street (Burwood Council). Challenges for our town planner was researching and reviewing the Burwood Council Local Environmental Plan 2012, and Burwood Development Control Plan. City of Sydney Council – TRANPLAN’s town planning consultant prepared the Clause 4.6 variation report to support a development application (DA) for the non-compliance with number of storeys (Clause 4.3) for a new residential rear first floor extension in Anderson Street, Alexandria (City of Sydney Council). Challenges include reviewing the City of Sydney Council's Sydney Local Environment Plan 2012 & Sydney Development Control Plan 2012 and addressing the relevant controls of Clause 4.6 & the DCP to justify the non-compliance with the rear setback control. Hunters Hill Council - Our town planning consultant prepared the Clause 4.6 variation report to support a development application (DA) for the non-compliance with number of storeys (Clause 4.3) for a new residential dwelling in Garrick Avenue, Hunters Hill (Hunters Hill Council). Challenges include reviewing the Hunters Hill Council's Hunters Hill Local Environment Plan 2012 and addressing the relevant controls of Clause 4.6 to justify the non-compliance with the number of storeys (Clause 4.3). City of Sydney Council – TRANPLAN’s town planning consultant prepared the town planning (Statement of Environmental Effects) report to support a Section 96 modification development application (DA) for the extension of trading hours for an existing Kebab / take-away food shop in Wentworth Avenue, Surry Hills (City of Sydney Council). Challenges include reviewing the City of Sydney Council's Sydney Local Environment Plan 2012 & Sydney Development Control Plan 2012 and liaising with the client in preparing a Plan of Management to address impacts of late night trading, security / safety, and amenity. Canterbury-Bankstown Council - Our town planning consultant prepared the town planning Clause 4.6 variation report to support a development application (DA) for the non-compliance with building height (Clause 4.3) for a new residential dwelling in Lancaster Avenue, Punchbowl (Canterbury-Bankstown Council). Challenges include reviewing the Canterbury-Bankstown Council's Bankstown Local Environment Plan 2015 and addressing the relevant controls of Clause 4.6 to justify the non-compliance with building height (Clause 4.3). 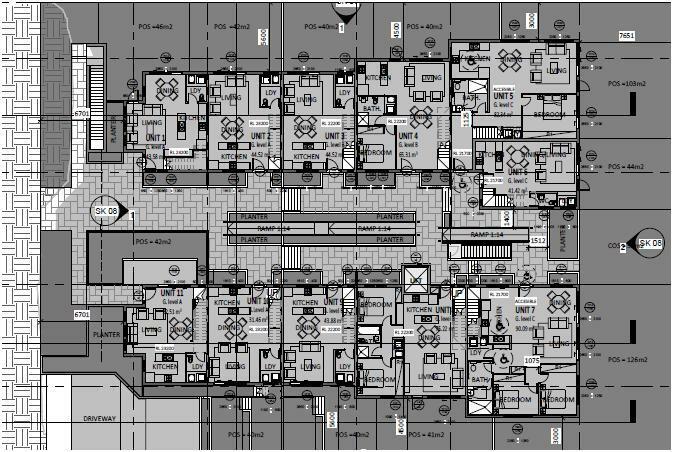 City of Sydney Council - TRANPLAN consulting prepared the town planning (Statement of Environmental Effects) report to support a development application (DA) to fitout and change of use for a educational establishment in George Street, Sydney (City of Sydney Council). Challenges include reviewing the City of Sydney Council's Sydney Local Environment Plan 2012 & Sydney Development Control Plan 2012 and liaising with the client in preparing a Plan of Management. City of Sydney Council - Our town planner prepared a development objection for a deemed-refusal appeal to the Land & Environment Court for a development application (DA) for a residential apartment development in Mitchell Street, Alexandria (Sydney Council). Challenges include reviewing the Section 34 Conference details, the Council's Statement of Facts & Contentions presented to the court, and reviewing the amended DA against City of Sydney Council's Sydney Local Environment Plan 2012 & Sydney Development Control Plan 2012 and object to the significant amenity issues because of the bulk, height, setbacks, overshadowing, loss of visual & acoustic privacy etc. The most severe impacts would have been overshadowing, and loss of visual & acoustic privacy due to no setback and exceedance of the maximum number of storeys. Cumberland Council - Our town planner prepared a town planning (Statement of Environmental Effects) report to support the development application (DA) to change the use of an existing / approved single dwelling house to a dual occupancy in Susan Street, Auburn (Cumberland Council). Other town planning services include site inspection, researching Cumberland Council’s Auburn LEP 2010 and Auburn DCP, and assisting the property owner to understand the DA process. Blacktown City Council - TRANPLAN consulting prepared the town planning (Statement of Environmental Effects) report to support a development application (DA) for the fit out and change of use of an existing tenancy as a F45 Fitness Centre/gymnasium within the M Centre in Sterling Road, Minchinbury (Blacktown City Council). Challenges include preparing the architectural design plans and reviewing the Blacktown Council's Blacktown Local Environment Plan 2015 & Blacktown Development Control Plan 2015. City of Sydney Council - TRANPLAN Consulting's Planner prepared the town planning (Statement of Environmental Effects) report to support a development application (DA) for the fitout and change of use as a small bar and extended late-night trading for the rear outdoor courtyard in King Street, Newtown (City of Sydney Council). Challenges include reviewing the City of Sydney Council's Sydney Local Environment Plan 2012 & Sydney Development Control Plan 2012 and liaising with the client in preparing a Plan of Management to address impacts of late night trading, responsible service of alcohol (RSA), security / safety, and amenity. Campbelltown City Council - Our town planning consultant prepared the planning feasibility report for sites in Chamberlain Street, Pembroke Road & Longhurst Road (Campbelltown City Council). Challenges for our town planner was reviewing the Campbelltown City Council's Local Environmental Plan (LEP) 2015 and Development Control Plan 2015 and providing expert advice regarding the maximum potential redevelopment value of the land for subdivision and higher density residential. Botany Bay Council - Our town planner prepared the town planning (Statement of Environmental Effects) report to support a development application (DA) for the use of a restaurant as a licensed late night trading premises in Bourke Street (Botany Bay Council). Challenges for our town planner was researching and reviewing the Botany Bay City Council Local Environmental Plan 2013, Development Control Plan and liaising with the client in preparing a comprehensive Plan of Management to address impacts of late night trading, service of alcohol, security / safety, and amenity. City of Sydney Council - TRANPLAN town planner prepared the town planning (Statement of Environmental Effects) report to support a development application (DA) for the fitout and change of use for a licensed premises and late-night trading in Dixon Street, Haymarket (City of Sydney Council). Challenges include reviewing the City of Sydney Council's Sydney Local Environment Plan 2012 & Sydney Development Control Plan 2012 and liaising with the client in preparing a Plan of Management. City of Sydney Council - TRANPLAN town planner prepared the town planning (Statement of Environmental Effects) report to support a Section 96 development application (DA) to extend of operating hours to 24 hours for an Ezymart Convenience Store in King Street, Newtown (City of Sydney Council). Challenges include reviewing the City of Sydney Council's Sydney Local Environment Plan 2012 & Sydney Development Control Plan 2012 and liaising with the client in preparing a Plan of Management. Bankstown City Council - Our town planning consultant prepared the town planning (Statement of Environmental Effects) report to support a development application (DA) for the use of an existing industrial property in Christina Road, Villawood (Bankstown City Council) as a Go Kart Racing Centre. Challenges include reviewing the Bankstown Council's Bankstown Local Environment Plan 2015 & Bankstown Development Control Plan 2015 and liaising with the client in preparing a Plan of Management and addressing acoustic and traffic / parking impacts, and State Environmental Planning Policy No. 64 - Advertising & Signage for the large business signage. Waverley Council - TRANPLAN consultants prepared the town planning (Statement of Environmental Effects) report to support a Section 96 development application (DA) to extend of operating hours until 3am for an Ezymart Convenience Store in Bay Street, Double Bay (Waverley Council). Challenges include reviewing Waverley Council's Waverley Local Environment Plan 2012 & Waverley Development Control Plan 2012 and liaising with the client in preparing a Plan of Management. Blacktown City Council - TRANPLAN consulting prepared the town planning (Statement of Environmental Effects) report to support a development application (DA) to formalise the fit out and change of use of an existing office to a grocery shop premises in Main Street, Blacktown (Blacktown City Council). Challenges include reviewing the Blacktown Council's Blacktown Local Environment Plan 2015 & Blacktown Development Control Plan 2015. As the site was recently rezoned to RE1 – Public Recreation, the proposed shop is a prohibited use under the Blacktown LEP 2015. Therefore, a major challenge of the project is the application of existing use rights under Part 4, Division 10 of the Environmental Planning and Assessment Act 1979 & the Environmental Planning and Assessment Regulations 2000. Strathfield Municipal Council - Our town planner prepared the town planning (Statement of Environmental Effects) report to support a development application (DA) to convert an existing period house to a 44-place Child Care Centre in Torrington Road, Strathfield (Strathfield City Council). Challenges for our town planner included reviewing Strathfield City Council's Local Environmental Plan (LEP) 2012 and Strathfield Development Control Plan 2005, working with the project architect to design the proposal in accordance with the new Legislation (Children [Education and Care Services National Law Application] Act 2010) & Regulations (Education and Care Services National Regulations) introduced in 2012, the Department of Education & Communities requirements, and Council’s strict controls for Child Care Centres e.g. minimum indoor/outdoor play areas, child-staff ratio, facilities, acoustic and traffic / parking requirements, landscaping, privacy etc. Another challenge was conservation; although the site is not a Heritage Item nor within a Heritage Conservation Area under SLEP 2012, it is of local aesthetic significance as competent and representative example of the Federation Queen Anne style house, and is of local historical significance. Parramatta City Council - TRANPLAN consulting prepared the town planning (Statement of Environmental Effects) report to support a development application (DA) to allow extension of trading hours for a Thai restaurant / Cafe in Bridge Street, Rydalmere (Parramatta City Council). Challenges include reviewing the Parramatta City Council's Parramatta Local Environment Plan 2011 & Parramatta Development Control Plan 2011 and liaising with the client in preparing a Plan of Management. Campbelltown City Council - Our town planner prepared the town planning (Statement of Environmental Effects) report to support a development application (DA) to build a new Child Care Centre in Campbelltown (Campbelltown City Council). Challenges for our town planner included reviewing Campbelltown City Council's Local Environmental Plan (LEP) 2015 and Campbelltown (Sustainable City) Development Control Plan 2015, working with the project architect to design the proposal in accordance with the new Legislation (Children [Education and Care Services National Law Application] Act 2010) & Regulations (Education and Care Services National Regulations) introduced in 2012, the Department of Education & Communities requirements, and Council’s strict controls for Child Care Centres e.g. minimum indoor/outdoor play areas, child-staff ratio, facilities, acoustic and traffic / parking requirements, landscaping, privacy etc. Gosford City Council - Our town planner prepared the planning feasibility report for a site in Bradys Gully Rd (Gosford City Council). The client wanted to know the maximum potential value of a lot of land prior to purchasing it. Our town planner was able to review Gosford Local Environment Plan 2013 and advised the zoning of the property and the development potential according to the planning controls. City of Sydney Council - TRANPLAN consulting prepared the town planning (Statement of Environmental Effects) report to support a Section 96 development application (DA) to modify an existing approval to allow extension of trading hours for a educational establishment in Wentworth Avenue, Surry Hills (City of Sydney Council). Challenges include reviewing the City of Sydney Council's Sydney Local Environment Plan 2012 & Sydney Development Control Plan 2012 and liaising with the client in preparing a Plan of Management. City of Sydney Council - TRANPLAN consulting prepared the town planning (Statement of Environmental Effects) report to support a development application (DA) to formalise the fit out and change of use of an existing business as a retail premises in Broadway, Sydney (City of Sydney Council). Challenges include reviewing the City of Sydney Council's Sydney Local Environment Plan 2012 & Sydney Development Control Plan 2012 and liaising with the client. The property is part of a Local Heritage Item (I 2011) under SLEP 2012. Our heritage consultant has justified that a Heritage Impact Statement (HIS) is not required given that the project has no impact on heritage significance. Parramatta City Council - TRANPLAN consulting prepared the town planning (Statement of Environmental Effects) report to support a development application (DA) for the renovation (alterations & additions) to an existing bungalow for use as a boarding house in Crimea St, Parramatta (Parramatta City Council). Challenges include reviewing Parramatta Council's Parramatta Local Environment Plan 2011 & Parramatta Development Control Plan 2011 and liaising with the client and architect and building surveyor to resolve various building code, accessibility, design and heritage constraints. The property is with the South Parramatta Heritage Conservation Area and in the immediate vicinity of several Heritage Items under PLEP 2011. Our heritage consultant has justified that a Heritage Impact Statement (HIS) is not required given that the project has no impact on heritage significance. Auburn City Council - Our town planner prepared a town planning (Statement of Environmental Effects) report to support the development application (DA) to use existing business park property as a Pet Shop in Parramatta Road, Auburn (Auburn City Council). Other town planning services include site inspection, researching Auburn Council’s LEP 2010 and DCP, and working with the operator and project architect to design the fitout. The Hills Shire Council - Our town planner prepared a town planning (Statement of Environmental Effects) report to support the development application (DA) for 10 new business identification signage for the Home Hub Castle Hill in Victoria Avenue, Castle Hill (The Hills Shire Council). Other town planning services include site inspection, researching State Environmental Planning Policy No. 64, The Hills Shire Council’s Local Environment Plan 2012 & The Hills Development Control Plan 2012. The Hills Shire Council - Our town planner prepared a town planning (Statement of Environmental Effects) report to support the development application (DA) for 2 new business identification signage for Harvey Norman Home Hub Castle Hill in Victoria Avenue, Castle Hill (The Hills Shire Council). Other town planning services include site inspection, researching State Environmental Planning Policy No. 64, The Hills Shire Council’s Local Environment Plan 2012 & The Hills Development Control Plan 2012. Auburn City Council - Our town planner prepared a town planning (Statement of Environmental Effects) report to support the development application (DA) for minor renovations to an approved single dwelling house in Park Road, Auburn (Auburn Council). Other town planning services include site inspection, researching Auburn Council’s LEP 2010 and DCP, and working with the property owner and project architect to understand the DA process for Section 96 applications. Auburn City Council - Our town planner prepared a town planning (Statement of Environmental Effects) report to support the development application (DA) for minor renovations to an approved single dwelling house in Park Road, Auburn (Auburn Council). Other town planning services include site inspection,researching Auburn Council’s LEP 2010 and DCP, and working with the property owner and project architect to understand the DA process for Section 96 applications. 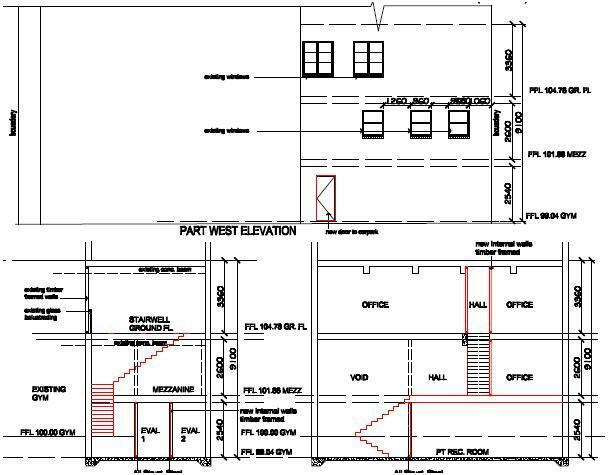 Fairfield City Council - Our town planning company prepared a parking compliance report for a site in Newton Road, Wetherill Park (corner of Cowpasture Road) for a proposal to fitout and use an existing industrial unit as a warehouse with ancillary office, showroom and industrial training facility. Challenges for our town planner was to thoroughly research Fairfield City Council's development controls - Fairfield Local Environment Plan 2013 & Fairfield City Wide Development Control Plan 2013 and the RTA's Guide to Traffic Generating Developments. Ku-ring-gai Council - TRANPLAN prepared the town planning (Statement of Environmental Effects) report and Heritage Impact Statement (HIS) to support a development application (DA) for 2 dual occupancies and future subdivision of a property on Pacific Highway / Myall Avenue, Wahroonga (Ku-ring-gai Council). Challenges include reviewing the previous DA, Ku-ring-gai Local Environment Plan 2015 & Development Control Plan, and working with the project architect to design a suitable design to blend in with the existing contributory building on the land and the C4 Mahratta Conservation Area. and other Heritage Items in the vicinity. Leichhardt Municipal Council - TRANPLAN Heritage Consultant prepared the Heritage Impact Statement (HIS) to support a development application (DA) for a partial demolition and rear addition to an existing semi-detached house in Nelson St, Rozelle. Challenges was the thorough research of Leichhardt Municipal Council’s controls - Leichhardt Local Environment Plan 2013 & Leichhardt Development Control Plan 2013 and the Heritage Inventory for "the Valley Conservation Area" . Marrickville Council - TRANPLAN was engaged to provide town planning advice to redesign a proposal which was previously refused by Marrickville Council. Services also included preparation of the town planning (Statement of Environmental Effects) report to support a new development application (DA) for the partial demolition and alterations & additions (erect 3-storey building for studio units at the rear) to an existing mixed use building in Marrickville Road, Marrickville (Marrickville Council). Challenges include reviewing Marrickville Council's Marrickville Local Environment Plan 2011 & Marrickville Development Control Plan 2011 and liaising with the client and architect to resolve non-compliances. The property is in the vicinity of a group of Local Heritage Items (I 189). Our heritage consultant has justified that a Heritage Impact Statement (HIS) is not required given that the project has no impact on heritage significance. Liverpool City Council - Our town planner prepared a town planning (Statement of Environmental Effects) report to support the development application (DA) for construction of a 2-storey premises in Kingsford Smith Avenue, Middleton Grange (Liverpool City Council) and change of use as a Child Care Centre & dwelling above. Challenges include reviewing the Liverpool Council's Sydney Local Environment Plan 2008 & Liverpool Development Control Plan 2008 and liaising with the client, architect, traffic / acoustic / landscape consultant to resolve design & planning issues. Bankstown City Council - Our town planning company was engaged for a due diligence investigation into the planning issues for a proposal subdivision for dual occupancy on Burns Rd (Bankstown City Council). The client wanted to know if their land can be subdivided for duplex so that they can submit a development application (DA) to Bankstown Council. Challenges for our consulting town planner include thoroughly researching Bankstown Local Environment Plan 2015 and providing due diligence advice. Marrickville Council - TRANPLAN consulting prepared the town planning (Statement of Environmental Effects) report to support a development application (DA) for the renovation (alterations & additions) to an existing terrace in Crystal Street, Petersham (Marrickville Council). Challenges include reviewing Marrickville Council's Marrickville Local Environment Plan 2011 & Marrickville Development Control Plan 2011 and liaising with the client and architect and building surveyor to resolve various building code, accessibility, design and heritage constraints. The property is part of a group of Local Heritage Items (I 189) collectively known as "Terrace Housing" under MLEP 2011. Our heritage consultant has justified that a Heritage Impact Statement (HIS) is not required given that the project has no impact on heritage significance. City of Sydney Council - Our experienced town planner prepared the town planning (Statement of Environmental Effects) report for a development application (DA) for the commercial fitout and change of use as a beauty and spa centre to an existing 5-storey heritage commercial building in Clarence St, Sydney (City of Sydney Council). Challenges include reviewing the City of Sydney Council's Sydney Local Environment Plan 2012 & Sydney Development Control Plan 2012 and liaising with the client/project architect. The property is a Local Heritage Item (I 1720) known as "Former warehouse including interiors" under SLEP 2012. Therefore our heritage consultant also prepared a Heritage Impact Statement (HIS) for the project. Botany Bay Council - Our town planner prepared the town planning (Statement of Environmental Effects) report to support a development application (DA) for the alterations & additions (fit-out) and change of use of an existing light industrial property to a film studio in Salisbury Road (Botany Bay City Council) with ancillary residence for the caretaker and liaising with the client to resolve issues such as accessibility, traffic/parking, and ensuring that the development complies with Building Code of Australia (BCA) controls. Challenges for our town planner was researching and reviewing the Botany Bay City Council Local Environmental Plan 2013, Development Control Plan and demonstrate compatibility with the future desired character of the local area. Sutherland Shire Council - TRANPLAN Sydney Town Planning Consultant prepared the town planning (Statement of Environmental Effects) report to support a development application (DA) for an additional Pylon sign to an existing bulky goods retailing premises in Taren Point's Road, Taren Point (Sutherland Shire Council). Challenges for our town planner was reviewing State Environmental Planning Policy No. 64 - Advertising & Signage, the Sutherland Shire Council's Sutherland Local Environment Plan 2006 & Sutherland Development Control Plan 2006, and Draft Sutherland Local Environment Plan 2013 , and the sign did not comply with the DCP height limit for Pylon signs. City of Sydney Council - TRANPLAN Sydney Town Planning Consultant prepared the town planning (Statement of Environmental Effects) report to support a development application (DA) for the fit out and change of use to an existing retail premises to a Sushi Bar with extended operating hours in Mary's Place, Surry Hills (City of Sydney Council). Challenges for our town planner was reviewing the City of Sydney Council's Sydney Local Environment Plan 2012 & Sydney Development Control Plan 2012 and the existing Council approval, and liaising with the client regarding issues such as compliance with existing conditions of consent and management issues to prepare the Plan of Management (POM). Parramatta City Council - Our Heritage Consultant prepared the town planning (Statement of Environmental Effects) report to support a development application (DA) for the alterations & additions (fit-out) and use of a ground floor commercial / retail tenancy and use as a Japanese Sushi restaurant in Cowper St, Parramatta (Parramatta City Council). Challenges for our town planner was reviewing and analysing Parramatta City Council's Parramatta City Centre Local Environment Plan 2007 & Parramatta Development Control Plan 2011 and liaising with the project architect to resolve issues such as , accessibility, traffic/parking, and ensuring that the development complies with Building Code of Australia (BCA) controls. Another issue was the property was in the vicinity of several Heritage Items. City of Sydney Council - TRANPLAN Sydney Town Planning Consultant prepared the town planning (Statement of Environmental Effects) report to support a Section 96 development application (DA) for the modification to extend trading hours for an existing restaurant in Redfern St, Redfern (City of Sydney Council). Challenges for our town planner was reviewing the City of Sydney Council's Sydney Local Environment Plan 2012 & Sydney Development Control Plan 2012 and the existing Council approval, and liaising with the client regarding issues such as compliance with existing conditions of consent and management issues to prepare the Plan of Management (PoM). Hurstville City Council - TRANPLAN Sydney prepared the Independent Planning Report to support a development application (DA) for the demolition of existing structures and erection of 5 dwellings (town houses) with basement car park and strata subdivision of a site in Johnstone St, Peakhurst (Hurstville City Council). Challenges for our town planner was reviewing the Hurstville City Council's Local Environment Plan 2012 & Hurstville Development Control Plan - LGA Wide No.1, the DA documentation & plans as well as the Council’s Development Officer’s assessment of the development, and to provide an independent assessment and recommendation to the Council at its meeting whether to uphold its Resolution for a redesign to reduce the number of Units from 5 to 4 dwellings. City of Sydney Council - TRANPLAN Sydney Town Planners prepared the town planning (Statement of Environmental Effects) report to support a development application (DA) for the alterations & addition to an existing warehouse in Allen St, Waterloo (City of Sydney Council) and change of use to a gymnastics training facility. Challenges for our town planner was reviewing the City of Sydney Council's Sydney Local Environment Plan 2012 & Sydney Development Control Plan 2012 and liaising with the client regarding issues such as BCA compliance, waste management, emergency management and DA lodgement advice. City of Sydney Council - Our town planning company prepared the town planning (Statement of Environmental Effects) report to support a development application (DA) for the alterations & addition to an existing gymnasium in Kent St, Sydney (City of Sydney Council). Challenges for our town planner was reviewing the City of Sydney Council's Sydney Local Environment Plan 2012 & Sydney Development Control Plan 2012 and liaising with the client/project consultant regarding issues such as BCA compliance, waste management. Another issue was the property is an Local Heritage Item under SLEP 2012 and therefore our heritage consultant also prepared a Heritage Impact Statement (HIS) and provided specialist heritage advice for the project . City of Sydney Council - Our town planner prepared the town planning (Statement of Environmental Effects) report to support a development application (DA) for the alterations & addition to an existing inner city terrace in George St, Redfern (City of Sydney Council). Challenges for our planning consultant was reviewing and analysing City of Sydney Council's Sydney Local Environment Plan 2012 & Sydney Development Control Plan 2012 and liaising with the project architect to resolve issues such as extending the kitchen to the common boundary and ensuring that the development complies with site coverage, private open space (POS), floor-space-ratio (FSR) controls. Another issue was the property was located in the Redfern Estate Heritage Conservation Area, and therefore our heritage consultant also prepared a Heritage Impact Statement (HIS) to support heritage approval of the DA. Waverley Council - Our town planner prepared the Heritage Impact Statement (HIS) to support heritage approval ofa development application (DA) to convert an existing factory in Judges Lane, Waverley (Waverley Council). Challenges for our town planner was researching Waverley Council's Local Environmental Plan (LEP) 2012 and Waverley Development Control Plan 2012. Heritage challenges for our heritage consultant was the property is in close proximity to Heritage Item and archaeological site. City of Sydney Council - Our town planner prepared the town planning (Statement of Environmental Effects) report to support a development application (DA) for the alterations & addition to an existing industrial office unit in McEvoy Street, Alexandria (City of Sydney Council) as a gymnasium. Challenges for our town planner was reviewing and analysing City of Sydney Council's Sydney Local Environment Plan 2012 & Sydney Development Control Plan 2012 and ensuring that the development could comply with car parking, waste management, noise management requirements. Leichhardt Municipal Council - Our town planning consultant prepared a development objection for a site in Glassop Street, Balmain (Leichhardt Municipal Council). The client wanted to make an objection to a development application (DA) right next door to their home for a demolition of an existing house (the property is in the Balmain Heritage Conservation Area) and construction of new 3-storey building with basement car parking. Challenges for our town planner was the thorough research of Leichhardt Municipal Council’s controls - Leichhardt Local Environment Plan 2013 & Leichhardt Development Control Plan 2013 and review the impact of the proposed development on the heritage issues as well as amenity issues to neighbours e.g. bulk, height, setbacks, solar access, privacy etc. The most severe impact would have been view loss (views to the Parramatta River & Cockatoo Island) and our town planning consultant prepared the objection on the view sharing planning principle set out by the NSW Land & Environment Court in the case of Tenacity Consulting v Warringah (NSWLEC 140 – 2004). Bankstown City Council - Our town planner prepared a State Environmental Planning Policy No. 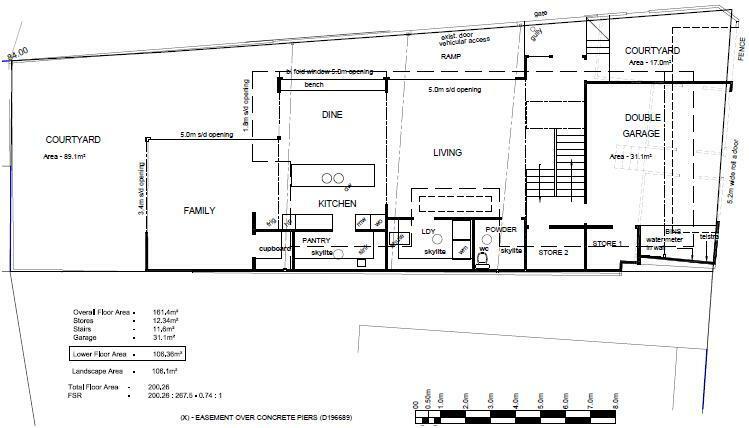 1 (SEPP 1) Objection to support a development application (DA) for a granny flat (which exceeded the development standard for secondary dwelling wall height) in Henty Street, Yagoona (Bankstown City Council). Challenges for our town planning company in preparing the SEPP 1 Objection included researching Bankstown City Council's development standard for height under clause 30B of Bankstown Local Environment Plan 2001 and the planning principle set out for SEPP 1 Objections by the NSW Land & Environment Court in the case of Wehbe v Pittwater Council (2007) LEC 827. Holroyd City Council - Our town planner was engaged for a due diligence investigation into the planning issues for a proposal to fitout and use an existing industrial unit on Bryon Rd (Holroyd City Council) for as a cafe . The client wanted to know if the use is permissible in that area so that they can submit a development application (DA) to Holroyd City Council. Challenges for our consulting town planner include thoroughly research Holroyd City Council's development controls - Holroyd Local Environment Plan 2013 & Holroyd Development Control Plan 2013 to meet Holroyd City Council's requirements. Strathfield Municipal Council - Our town planning company was engaged for a due diligence investigation into the planning issues for a proposal to fitout and use an existing commercial unit on The Boulevarde, Strathfield (Strathfield Municipal Council) as a medical centre. The client wanted to know if the use is permissible in that area so that they can submit a development application (DA) to Strathfield Municipal Council. Challenges for our town planner was to thoroughly research Strathfield Municipal Council's development controls - Strathfield Local Environment Plan 2012 & Strathfield Development Control Plan 2005, and to work with the project architect to design the narrow building (approximately 4m wide) to comply with BCA and accessibility legislation as well as meet the client's practical needs for a medical centre. Ashfield Council - Our town planning company prepared a prepared a town planning justification letter for a site in Dalhousie St (Ashfield Council). The client was requested by Ashfield Council to justify some issues (shortage of car parking spaces, too many stacked car parking, no loading facility for deliveries) with their development application (DA) for a chicken shop / restuarant. Challenges for our town planner was the thorough research of Ashfield Council's car parking controls, precedents within Ashfield Council's LGA, and within other nearby local Councils in the Inner West such as Marrickville, Leichhardt etc. City of Canada Bay Council - Our town planning company was engaged to provide planning advice into the planning issues for a property in Ada Street, Concord (City of Canada Bay Council). The property had approval for a development application (DA) for use as a dwelling and outbuilding, but neighbour complaints about the use of the property as 3 separate dwellings by 3 families were investigated by Council and an Order was served. Challenges for our town planner was the thorough research of City of Canada Bay Council’s controls - Canada Bay Local Environment Plan 2013 & Canada Bay Development Control Plan and investigate the land use options (dual occupancy, multi dwelling housing & bed and breakfast accommodation) that could be supported by Council. City of Sydney Council - Our town planner prepared the town planning (Statement of Environmental Effects) report to support a development application (DA) for the use of an existing premise in O'Connell Street, Sydney as a Child Care Centre (Sydney City Council). Challenges for our consulting town planner include working with the project architect, acoustic consultant, traffic/parking engineer to design the proposal in accordance with the new Legislation (Children [Education and Care Services National Law Application] Act 2010) & Regulations (Education and Care Services National Regulations) introduced in 2012, the Department of Education & Communities requirements, and City of Sydney Council’s strict controls for Child Care Centres e.g. play areas, child-staff ratio, indoor / outdoor play areas, kitchen / laundry facilities, acoustic and traffic / parking requirements, landscaping, privacy, child safety etc. 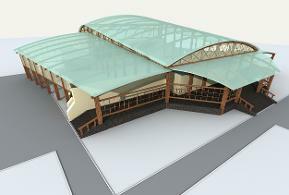 Leichhardt Municipal Council - Our town planning consultant was engaged for a due diligence investigation into the planning issues for a proposal to fitout and use an existing light industrial unit in Gehrig Street / Pyrmont Bridge Road in Annandale (Leichhardt Municipal Council) as a gymnasium. The client wanted to know if the use could be done as Complying Development under State Environmental Planning Policy (Exempt & Complying Development Codes) 2008, or through the development application (DA) process with Leichhardt Council, and advice on possible issues such as car parking, structural engineering and Building Code of Australia (BCA), Noise Management Plan, hours of operation etc. Challenges for our town planner were the thorough research of Leichhardt Council's development controls - Leichhardt Local Environment Plan 2013 & Leichhardt Development Control Plan 2013; and the Codes SEPP 2008. Liverpool City Council - Our town planning consultant was engaged for a due diligence investigation into the planning issues for a proposal to fitout and use an existing industrial unit in Alfred Road in Chipping Norton (Liverpool City Council) as a gymnasium. The client wanted to know if the use is permissible so that they can submit a development application (DA) to Liverpool City Council. Challenges for our town planner was to thoroughly research Liverpool City Council's development controls - Liverpool Local Environment Plan 2008 & Liverpool Development Control Plan 2008. Hornsby Shire Council - Our heritage consultant prepared the Heritage Impact Statement (HIS) to support a development application (DA) for the demolition of an existing Federation dwelling and to subdivide the site into 2 Torrens title lots in Surrey Street, Epping (Hornsby Shire Council). The property is located next to a heritage item and within a heritage conservation area. The Statement of Heritage Impact report had to address the heritage requirements of Hornsby Shire Council's LEP & DCP, and justify why the development would not impact on the heritage item and the East Epping Heritage Conservation Area. Fairfield City Council - Our town planning company was engaged for a due diligence investigation into the planning issues for a proposal to fitout and use an existing industrial unit as a gymnasium. The client wanted to know if the use is permissible so that they can submit a development application (DA) to Fairfield City Council. Challenges for our town planner was to thoroughly research Fairfield City Council's development controls - Fairfield Local Environment Plan 2013 & Fairfield City Wide Development Control Plan 2013. City of Sydney Council - Our heritage consultant prepared the Heritage Impact Statement (HIS) to support development application (DA) for a change of use and fitout to the State Heritage listed Newtown Train Station’s Booking Office in King Street, Newtown (City of Sydney Council). Challenges for our heritage consultant were researching and reviewing the Heritage Office's State Heritage Register (SHR), City of Sydney Council's Sydney Local Environmental Plan 2013 (SLEP) and Development Control Plans, and the recent developments / refurbishment to Newtown Station. The Hills Shire Council - Our town planning consultant was engaged to prepare a planning submission for a site in Rouse Hill (the Hills Shire Council) which was proposed to fitout and use the industrial unit as a gymnasium. The client was requested by Hills Shire Council to address issues with the development application (DA) such as inadequate car parking, illegal mezzanine, structural engineering and Building Code of Australia (BCA), Noise Management Plan, hours of operation etc. Challenges for our town planner were the thorough research of the Hills Shire Council development controls and project managing the project with the architect and engineer. Sutherland Shire Council - Our town planner prepared a State Environmental Planning Policy No. 1 (SEPP 1) Objection to support a development application (DA) for a house (which exceeded the development standard for height) in Sutherland (Sutherland Shire Council). Challenges for our town planning company in preparing the SEPP 1 Objection included researching Sutherland Shire Council's development standard for height under clause 33(4) of the Sutherland Shire Local Environment Plan 2006 and the planning principle set out for SEPP 1 Objections by the NSW Land & Environment Court in the case of Wehbe v Pittwater Council (2007) LEC 827. Bankstown City Council - Our town planner prepared the town planning (Statement of Environmental Effects) report to support a development application (DA) for the use of an existing property in Yagoona as a Child Care Centre (Bankstown City Council). Town planning services include pre-DA meeting with Bankstown City Council, preparation of SEE and lodgement of DA, and project management of DA process. Challenges for our consulting town planner include working with the project architect to design the proposal in accordance with the new Legislation (Children [Education and Care Services National Law Application] Act 2010) & Regulations (Education and Care Services National Regulations) introduced in 2012, the Department of Education & Communities requirements, and Bankstown City Council’s strict controls for Child Care Centres e.g. play areas, child-staff ratio, facilities, acoustic and traffic / parking requirements, landscaping, privacy etc. 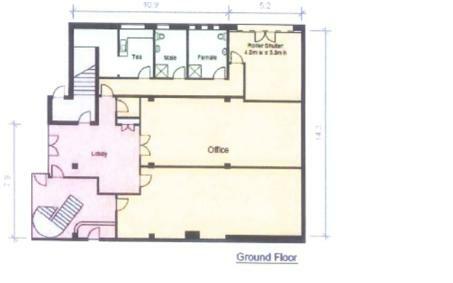 Liverpool City Council - Our town planner did a due diligence investigation into the planning issues and development history of a commercial property in Liverpool (Liverpool City Council) that was available in the rental market, and the client was interested in operating a boutique Café. Town planning services include researching Liverpool City Council’s LEP and DCP, as well as the development history of the site. Challenges for our consulting town planner include thorough research of Liverpool City Council’s zoning and land use permissibility and also obtaining / reviewing historic documents for the property, within a small amount of time, so that the client can make decision regarding the lease of the property and determine a good market rental price. City of Sydney Council - Our town planner did a due diligence investigation into the planning issues and development history of a commercial property in Alexandria (City of Sydney Council) that became available as a residential property. Town planning services include researching City of Sydney Council’s LEP and DCP, as well as the development history of the site. Challenges for our consulting town planner include thorough research of City of Sydney Council’s zoning and land use permissibility and also obtaining / reviewing historic documents for the property, within a small amount of time, so that the client can make decision regarding the purchase of the property prior to it's auction. Campbelltown City Council - Our town planner prepared the town planning (Statement of Environmental Effects) report to support a development application (DA) to build a house in Ingleburn (Campbelltown City Council). Challenges for our town planner was researching and reviewing the old (but current) Campbelltown City Council's Local Environmental Plan (LEP) and Development Control Plans, and the new draft LEP. Another planning issue was the property was part of a heritage item (and still within close proximity to the Heritage Item), and therefore our heritage consultant needed to prepare Heritage Impact Statement (HIS) for the DA. The Hills Shire Council - Our heritage consultant prepared the Heritage Impact Statement (HIS) to support a development application to demolish 2 old homes in Carlingford (Hills Shire Council). The properties are not heritage items, or within a Heritage Conservation Area, but the Hills Shire Council requires Heritage reports for properties that are more than 50 years old. City of Sydney Council - Our town planner prepared the town planning (Statement of Environmental Effects) report to support a development application (DA) for the alterations & additions (fitout) and use of an existing commercial premises in Rushcutters Bay (City of Sydney Council) as a Pet Bakery. Challenges for our town planners was ensuring that the Pet Bakery can comply with the RSPCA's and Sydney Council's Public Health officer's requirements and addressing public amenity & management issues associated with the animal / pet industry. Hurstville City Council - Our town planning consultant prepared a planning justification letter for a site in Peakhurst (Hurstville Council). The client was requested by Hurstville Council to justify some car parking issues with their development application (DA) . Challenges for our town planner was the thorough research of Hurstville Council's car parking controls, precedents within Hurstville Council's LGA, and within other local Councils. Ashfield Council - Our town planning consultant prepared a development objection for a site in Park Road, Ashfield (Ashfield Council). The client wanted to make an objection to a development application (DA) right next door to their home. Challenges for our town planner was the thorough research of Ashfield Council’s controls e.g. FSR, height, setbacks, POS etc. and access to the neighbour's development application documentations, because Ashfield Council has not adopted electronic access to DA documents on its website. Strathfield Municipal Council - Our heritage consultant prepared the Heritage Impact Statement (HIS) to support a development application (DA) for the demolition of an existing house and to build a contemporary 2-storey house in Redmyre Road, Strathfield (Strathfield Council). The property is located next to a heritage item and within a heritage conservation area. The Heritage Report had to address the heritage requirements of Strathfield Council's LEP & DCP, and justify why the development would not impact on the heritage item and the Redmyre Road Heritage Conservation Area. North Sydney Council - Our town planner prepared the town planning (Statement of Environmental Effects) report to support a development application (DA) for the subdivision of an existing affordable-rental house in Bay Road, Waverton (North Sydney Council). Challenges for our town planner was researching and reviewing the North Sydney Council's Local Environmental Plan, Development Control Plan & State Environmental Planning Policy (Affordable Rental Housing) 2009. Another planning issue was the property is a contributory heritage item within a Heritage Conservation Area and close to several Heritage Items, and therefore our heritage consultant needed to prepare Heritage Impact Statement (HIS) for the DA. Ku-ring-gai Municipal Council (KMC Council) - Our town planner prepared the town planning (Statement of Environmental Effects) report to support a development application (DA) for the demolition of an existing house and to build a new 2-storey house in the rear of a battle-axe lot in Lindfield (Ku-ring-gai Council). Challenges for our town planner was researching and reviewing the old Ku-ring-gai Council planning instruments including very dated and complicated Kuringai Planning Scheme Ordinance 1971 (PSO); which will soon be replaced by the Ku-ring-gai Local Environmental Plan. Another problem was that the lot is located in a heritage conservation area, and the house at the front of the battle-axe lot is a heritage item, and therefore our heritage consultant needed to prepare Heritage Impact Statement (HIS) for the DA. Our town planner also had to resolve other issues such as floor-space ratio (FSR) and building footprint, as the house that the client wanted to build was quite large and did not comply with Ku-ring-gai Council's development controls. Fairfield City Council - Our heritage consultant prepared the Heritage Impact Statement (HIS) to support a development application (DA) for the demolition of an existing house and to build 4 townhouses in Oxford Street, Smithfield (Fairfield Council). The property is located next to a heritage item (the Fairfield Museum and former Council Chambers). The HIS had to address the heritage requirements of Fairfield Council's LEP & DCP, and justify why the development would not impact on the heritage item. Parramatta City Council - Our town planner prepared the town planning (Statement of Environmental Effects) report to support a development application (DA) for the alterations & additions (fitout) and use of an existing industrial premises in Rydalmere (Parramatta City Council) as an Indoor Recreation Centre. Challenges for our town planners was ensuring that the Indoor Recreation Centre can comply with Parramatta City Council's development controls including parking / transport, BCA issues, and addressing management issues for daily operations as well as special events (through a Plan of Management). City of Sydney Council - Our town planner prepared the town planning (Statement of Environmental Effects) report to support a development application (DA) for the alterations & additions (fitout) and use of an existing commercial premises in Glebe (City of Sydney Council) as a Child Care Centre. Challenges for our town planners was ensuring that the Child Care Centre can comply with Department of Community Services's requirements for Child Care Centres, Sydney Council's development controls for Child Care Centres, BCA issues, and addressing heritage issues as the building is within a heritage conservation area. City of Sydney Council - Our town planner prepared the town planning (Statement of Environmental Effects) report to support a development application (DA) for the alterations & additions (fitout) and use of an existing commercial premises in the Rocks (City of Sydney Council) as a Cafe. Challenges for our town planners was ensuring that the Cafe can comply with Sydney Council's development controls, BCA issues, and addressing heritage issues as the building is within a heritage conservation area. Woollahra Council - Our town planner prepared a development objection for a site in Rose Bay (Woollahra Council). The client wanted to make an objection to a development right next door to their home. Challenges for our town planner was the thorough research of Woollahra Council’s controls e.g. FSR, height, setbacks, POS etc. and reviewing the neighbouring development application, in a very short amount of time because the neighbour notification period was due to expired soon. Strathfield Municipal Council - Our town planner prepared the planning feasibility report for a site in Homebush (Strathfield Council). The client wanted to know the maximum potential value of their land should it undergo rezoning to either R4 or B4 zone, since the site was directly next to the Parramatta Road Corridor which is undergoing rapid urban renewal, and because Roads & Maritime Services (RMS) may be acquiring the site as part of the WestConnex project. Challenges for our town planner was covering the feasibility of all possible scenarios, such as the potential for the land if it is rezoned to R4 or B4, and the potential for the land if amalgamated with adjoining Strathfield Council and / or RMS land. City of Sydney Council - Our town planner prepared the town planning report under State Environmental Planning Policy (Exempt & Complying Development Codes) 2008 to support an application for a Building Certificate (BC) for the alterations & additions (fitout) to an existing commercial premises in Ultimo (City of Sydney Council). Challenges for our town planners was that there was still outstanding BCA issues, and the building is a heritage item. Leichhardt Municipal Council - Our town planner prepared the town planning report under State Environmental Planning Policy (Exempt & Complying Development Codes) 2008 to support an application for a Building Certificate (BC) for the alterations & additions (renovations) to an existing residential premises in Annandale (Leichhardt Council). Challenges for our town planning consultant was preparing the town planning report, within a small amount of time, because the Council had already served an Order to stop works onsite. North Sydney Council - Our town planner did a due diligence investigation into the planning issues and development history of a property in Wollstonecraft (North Sydney Council). Town planning services include researching North Sydney Council’s LEP and DCP as well as State Environmental Planning Policy (Affordable Rental Housing) 2009, as well as the development history of the site. Challenges for our consulting town planner include thorough research of North Sydney Council’s zoning and land use permissibility for secondary dwellings (aka granny flats) in the E4 zone, and also establishing what parts of the property have been approved and which parts are illegal works, within a small amount of time, so that the client can make decision regarding the purchase of the property. Burwood Council - Our town planner prepared a town planning (Statement of Environmental Effects) report to support the development application (DA) for fitout and use of existing residential premises in Strathfield (Burwood Council) for home business as a Therapy Centre. Town planning services include pre-DA meeting with Burwood Council, preparation of SEE and lodgement of DA and project management of DA process. Challenges for our town planning consultant preparing an adequate Plan of Management for the operation of the Therapy Centre whilst and maintaining the residential function of the property, to meet Burwood Council requirements for home businesses. Parramatta City Council - Our town planner did the due diligence investigation into the potential of a property in Parramatta (Parramatta City Council) for redevelopment as mixed use development. Town planning services include the research of Parramatta City Council’s LEP and DCP, and liaising with Parramatta City Council's town planning and flood engineering staff. Challenges for our consulting town planner include investigating the constraints of the site, which was primarily flooding, and advise the client how this would affect the yield and the ROI (return on investment of) the site. Ashfield Council - Our town planner prepared a town planning (Statement of Environmental Effects) report to support the development application (DA) for fitout and use of existing residential premises in Strathfield (Ashfield Council) for home business as a Hair Salon. Town planning services include pre-DA meeting with Ashfield Council, preparation of SEE and lodgement of DA, and project management of DA process. Holroyd City Council - Our town planner prepared a town planning (Statement of Environmental Effects) report to support the development application (DA) for fitout and use of existing residential premises in South Wentworthville (Holroyd City Council) for as a health consulting room (doctor surgery). Town planning services include pre-DA meeting with Holroyd City Council, preparation of SEE and lodgement of DA, and project management of DA process. Challenges for our consulting town planner include designing property to become accessible, providing adequate car parking spaces and maintaining the residential function of the property to meet Holroyd City Council requirements. Bankstown City Council - Our town planner prepared a town planning (Statement of Environmental Effects) report to support the development application (DA) for demolition of existing structures and build new attached dual occupancy (duplex) and Torrens title subdivision of a property in Chester Hill (Bankstown Council). Town planning services include pre-DA meeting with Bankstown City Council, preparation of SEE and lodgement of DA, and project management of DA process. Challenges for our consulting town planner include working with architect to design the new properties to Bankstown Council’s controls e.g. 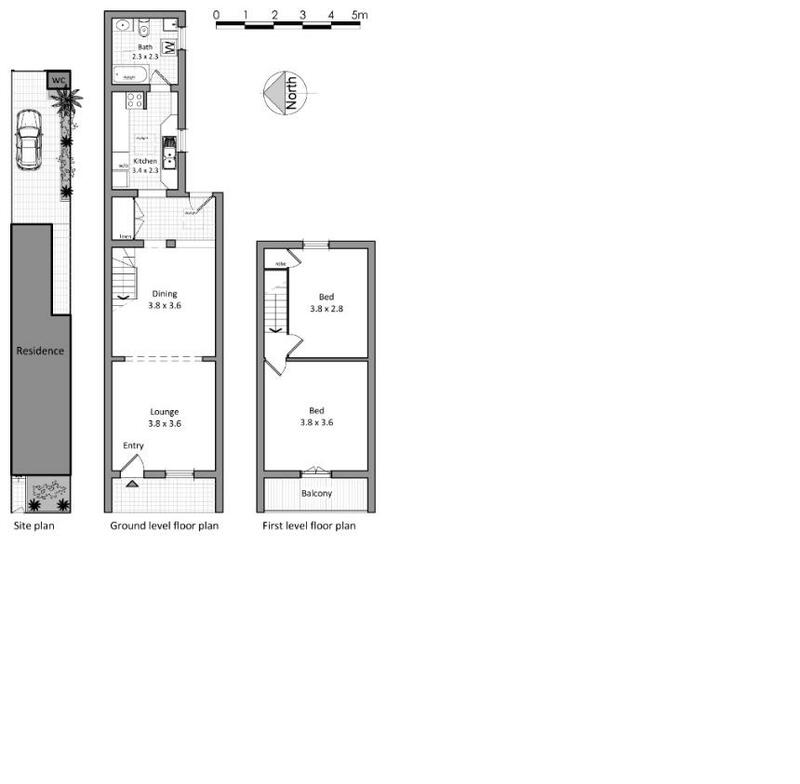 height, floor-space-ratio, private open space (POS), landscaping, privacy and solar access. 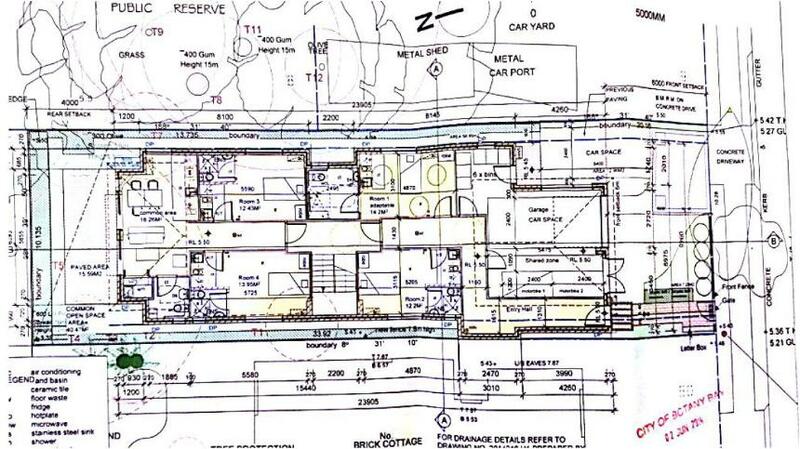 Ryde Council - Our town planner investigated the planning / development potential of a property in Putney (Ryde Council). Town planning services include researching Ryde Council’s LEP and DCP as well as SEPPs, and meeting on-site with client to discuss findings. Challenges for our consulting town planner include thorough research of Ryde Council’s controls e.g. setbacks and frontage requirements, FSR, POS, landscaping to explore all possible redevelopment options for the property. Auburn City Council - Our town planner prepared a town planning (Statement of Environmental Effects) report to support the development application (DA) for fitout and use of existing industrial premises (warehouse) in Auburn (Auburn Council) to be used as a Place of Public Worship (mosque). Town planning services include researching Auburn Council’s LEP and DCP, and working with the mosque Committee to design the development to comply with Auburn Council’s controls, pre-DA meeting with Auburn Council, preparation of SEE and lodgement of DA, and project management of DA process. Challenges for our consulting town planner include thorough research of Auburn Council’s controls e.g. setbacks and frontage requirements, landscaping, FSR, parking / traffic, noise, special events management, management of neighbours objections & concerns. Parramatta City Council - Our town planner investigated the planning / development potential of a property in Granville Town Centre earmarked for redevelopment from light industrial uses to mixed use / high density residential (Parramatta City Council). Town planning services include researching Parramatta City Council’s LEP and DCP, and working with the project architect to formulate various redevelopment options for the client to consider. Challenges for our town planning consultant include thorough research of Parramatta City Council’s controls e.g. new street / lane requirements, amalgamation options, setbacks and frontage requirements, FSR to explore all possible redevelopment options for the site to maximise yields (number of apartments) and return on investment (ROI) for the client. Liverpool City Council - Our town planner prepared a town planning (Statement of Environmental Effects) report to support the development application (DA) for fitout and use of existing commercial premises in Liverpool town centre (Liverpool City Council) for use as a butcher shop. Town planning services include preparation of SEE and lodgement of DA with Liverpool City Council. Liverpool City Council - Our town planner prepared a town planning (Statement of Environmental Effects) report to support the development application (DA) for fitout and use of existing retail premises in Liverpool(Liverpool City Council) for use as a takeaway shop. Town planning services include preparation of SEE and lodgement of DA with Liverpool City Council. Fairfield City Council - Our town planner investigated the potential of a property in Wetherill Park (Fairfield City Council) to be used as a Community Facility / Place of Public Worship. Town planning services include researching Fairfield Council’s LEP and DCP, and working with the project architect to design the development to comply with Fairfield City Council’s controls. Challenges for our consulting town planner include thorough research of Fairfield City Council’s controls e.g. amalgamation options, setbacks and frontage requirements, FSR, parking / traffic, noise, special events management, and advise the client accordingly. Auburn Council - Our town planner prepared town planning (Statement of Environmental Effects) report to support the development application (DA) for fitout and use of existing residential premises in Lidcombe (Auburn Council) for home business as a Tutoring Centre. Town planning services include pre-DA meeting with Auburn Council, preparation of SEE and lodgement of DA and project management of DA process. Challenges for our town planning consultant preparing an adequate Plan of Management for the operation of the Tutoring Centre whilst and maintaining the residential function of the property, to meet Auburn Council requirements for home businesses, and addressing Auburn Council’s concerns for parking shortage, traffic congestion and safety and noise. Holroyd Council - Subdivide the existing lots (consolidate 4 lots into 3 & boundary adjustment), demolish existing structures, and build 3 detached dwellings (detachedtriplex) in Guildford (Holroyd Council). Need town planning advice for your development? Contact our town planner for a FREE consultationand get your Council approval.